The 19th Pritzker Prize was awarded in 1996 to Spanish architect Rafael Moneo (born May 9, 1937). The ceremony was held at the Getty Center in Los Angeles, California. Through most of his career, Moneo has dedicated half of his time to designing and half to teaching architecture. His designs and teaching methods follow his belief in creating architecture that keeps being actual through time, like monuments. History and the representation of it are what makes his architecture adapt to contemporary needs. One of his most acclaimed works, the Kursaal, was being built when Rafael Moneo received the Prizker Prize. The Kursaal brought the attention to the architect in many ways, overall it is a complex project that appears simple. Two translucent cubes located on a perfect setting, the rocky beach of San Sebastián, which was part of where the form inspiration came from. The Pritzker Architecture Prize was not the first nor last award received by Rafael Moneo. He has also been honored with the RIBA Royal Gold Medal, The Mies van der Rohe Award, the Prince of Asturias Award, among many others. 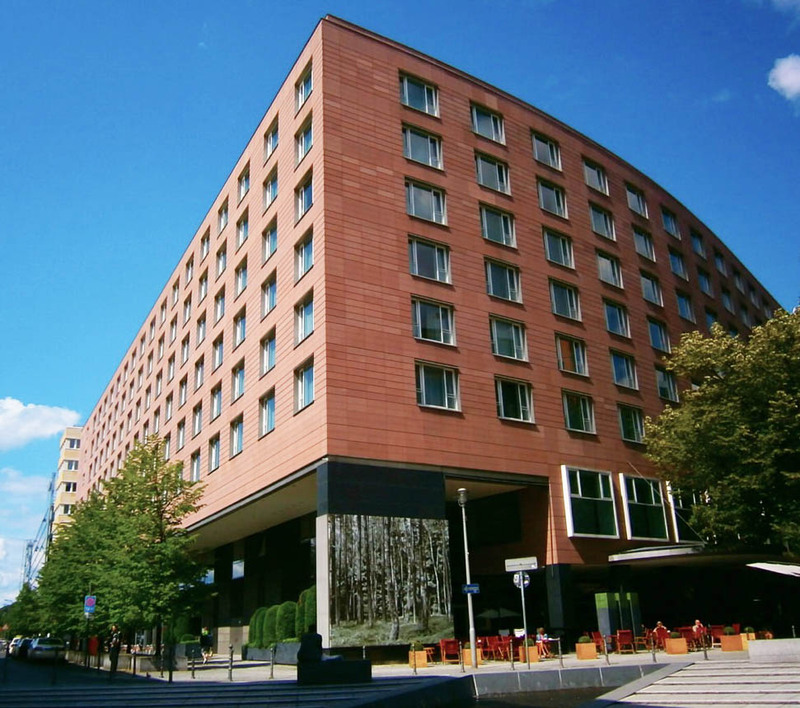 The Hyatt Group, majority-owned by the Pritzker Family (founders of the Pritzker Architecture Prize) decided to bring their branch of hotels to Germany, choosing a lot in the new Potsdamer Platz district developed by Daimler-Chrysler. 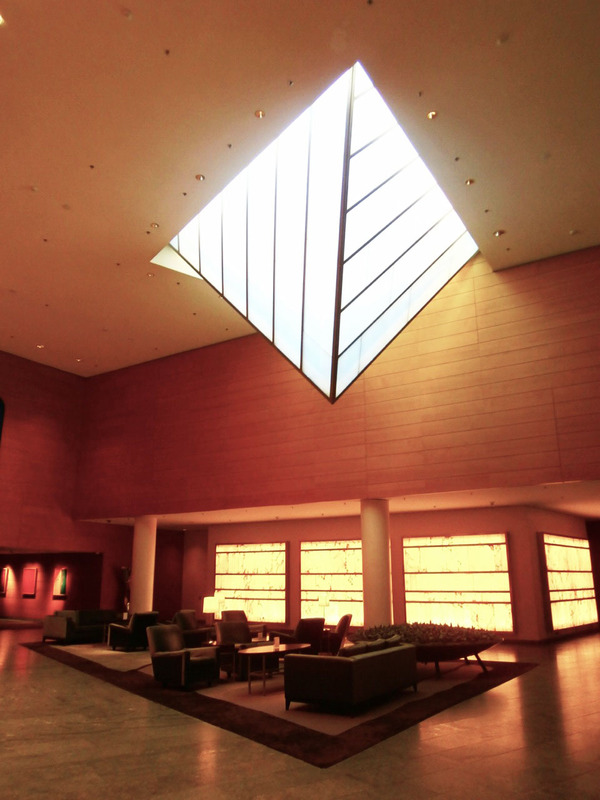 The Hyatt group has been a pioneer in hotel architecture since the 60's. 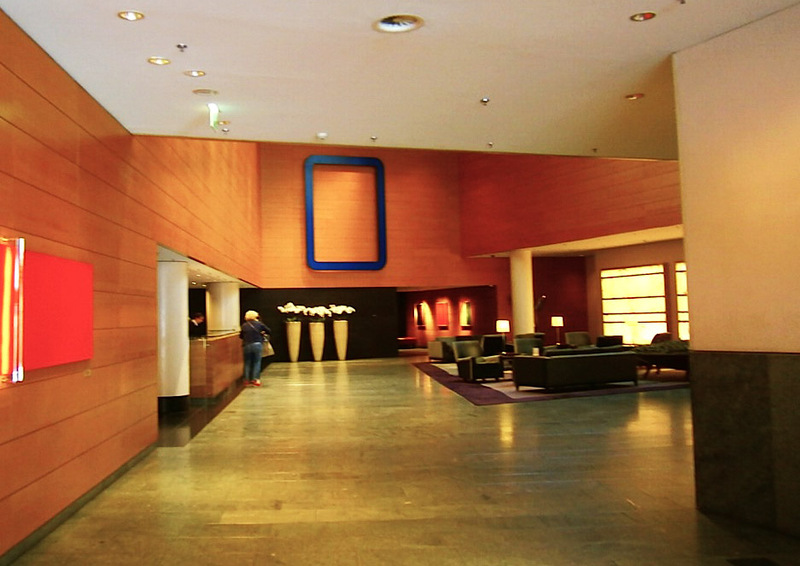 Architect Rafael Moneo was commissioned to design the hotel's building for their Berlin branch and Hannes Wettstein was appointed for the interior design. 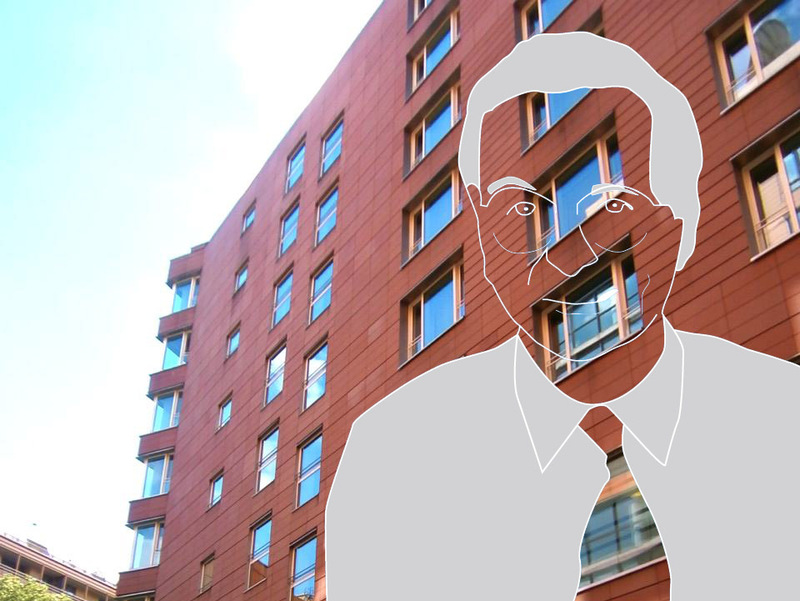 This was Rafael Moneo's first hotel project. It was created from 1993 to 1996. 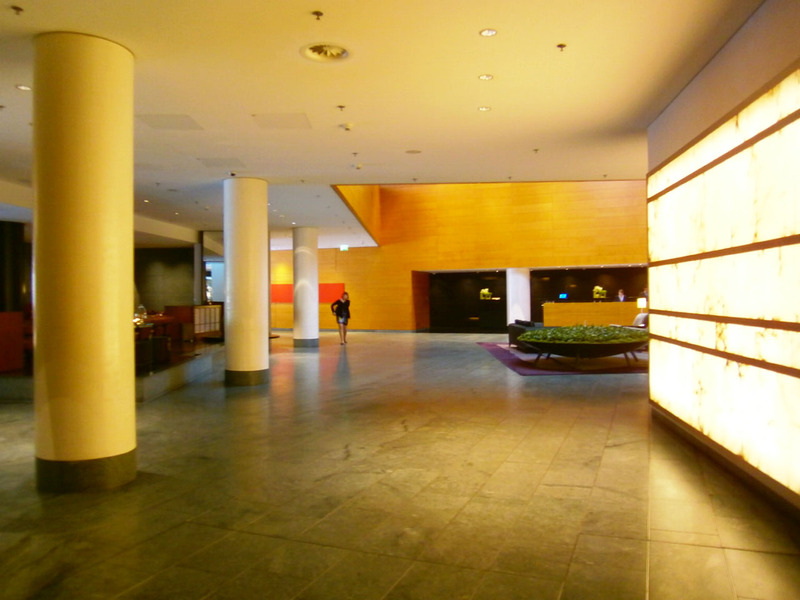 The hotel consists of a whole block in Potsdamer Platz with 3 restaurants, convention halls, spa with swimming pool and 340 rooms and suites. The building combines a Mediterranean and minimal design with no intention on absorbing the attention from its neighbors. 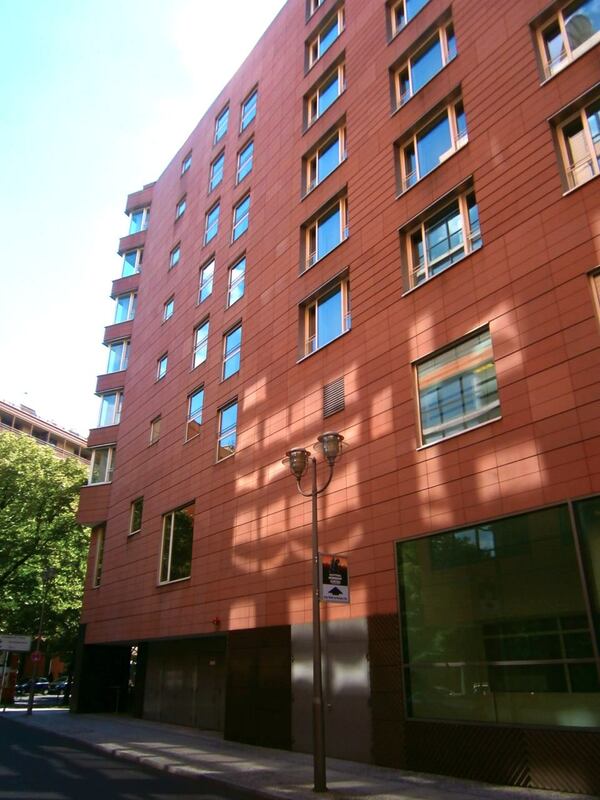 The red sandstone facade contains columns of small windows which follow the grid of the sandstone. A division in color an material can be seen in the ground floor and it is found both in exterior and interior spaces. The interiors were designed following minimal concepts of material, lighting and furniture design, something that had not been used before in spaces with such a large scale. 18 months after the opening the lobby was refurbished to give a more welcoming, cozy atmosphere. "I owe my happiness to architecture;... It has taught me to look at the world seeking to understand why animals, tools, plants, mountains, the clothes we wear and naturally the buildings, appear to us in their specific forms." -Rafael Moneo, Pritzker Prize Acceptance Speech, 1996.